Smartphone-tech improvements aren't just about looks anymore, they're about improving our quality of life. Don’t be surprised if you find something other than cigarettes stacked behind the counter at your local CVS this fall, because the company just announced it will stop carrying them by October 2014. The questionable decision made by the second largest pharmacy chain in the country was a difficult one to make, and an estimated $2 billion in revenue will be lost as a result. This estimate includes other commodities, such as snacks and magazines, which cigarette buyers would also add to their purchase at checkout. The bold move comes at a pivotal time in our nation’s health-care system; CVS is looking to be the first major pharmacy chain in the country to focus more on becoming a health-care provider rather than simply dispensing drugs. The company is hoping to ease the pressure from an imminent shortage of primary care doctors now that millions of Americans have qualified for health insurance. Staying ahead of the competition is the name of the game, therefore, CVS is seeking to secure partnerships with health insurance companies, hospitals, and physician groups before other pharmacies follow suit. The hypocrisy that existed before this decision was quite blatant to many health care professionals: why sell prescription medication for nicotine-related health problems when, just across the store, the very culprit of such health issues is sold at the checkout counter? CVS chief executive Larry Merlo finally realized the situational irony. “We came to the decision that cigarettes and providing health care just don’t go together in the same setting,” explained Merlo. The company plans to host smoking cessation programs this spring within their stores as an initial transition into a health-care provider. With 7 of 10 smokers stating they’d like to quit, CVS is looking to keep their existing smoking customers by helping them become non-smoking customers. CVS rivals Walgreens, Rite Aid, and Wal-Mart will no doubt keep a weary eye on the outcome of this decision while at the same time evaluating their own stores before reaching a consensus. Cigarettes still remain the number one preventable cause of disease and death in the United States, despite only an 18% smoking rate (down from 42% in 1965). After 480,000 nicotine-related deaths last year alone — amounting to $130 billion in medical care costs –, many health advocates agree that CVS made the right move. 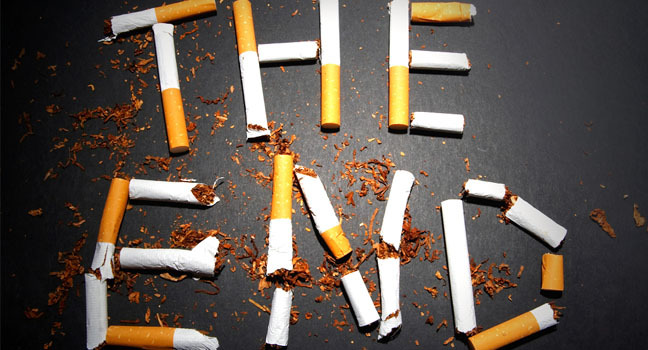 As a result, we may see medical costs and smoking-related deaths dwindle in the future. Stores such as Target and supermarket chain Wegmans—who did away with selling cigarettes in 1996 and 2008, respectively—are just a few big-name retailers who have also made the decision to promote healthier lifestyles to customers. Unfortunately, pharmacies were only responsible for 3-4%, a mere drop in the bucket, of cigarette sales nationwide; gas stations hold the highest percentage of sales at 47.5%, with specialty tobacco stores bringing in around 21% of the profit. This is certainly a step in the right direction, but we cannot expect to see a drastic decline in American smoking habits just yet. It’s up to independent stores on whether or not to sell cigarettes, and because they bring in such a profit, it may be difficult for some chains to do away with the addicting product. So as of this coming fall, CVS will quit smoking while at the same time becoming the health-care system’s newest guinea pig when it comes to finding alternative ways to treat people on a large-scale basis for simple ailments.